Go on a Shopping Spree Jackpot Slots Machine at Vegas Spins and collect diamond rings, Mystery Grab Bag bonuses, Scatter bonuses, FREE Spins and Progressive Jackpot riches! 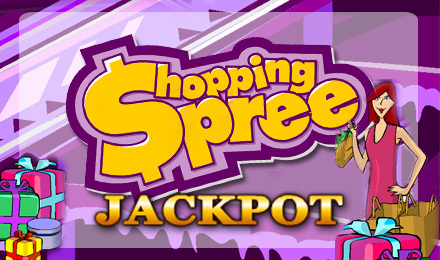 Hit the mall and Go on a Shopping Spree Jackpot Slots Machine at Vegas Spins! Shop for diamond rings, Flowers, Pearl, Lipstick, Perfume, Purse, and high-heels. Collect Shopping Bags to unlock the Mystery Grab Bag bonus round and collect dollars to unlock the Scatter Bonus. You can strut your stuff and rack up FREE Spins and Progressive Jackpot Prizes!